Addressing Haiti's dire health care needs and training of medical professionals is a real concern for the country. In 2010, St. Joseph's Health System, one of the largest corporations in Canada devoted to health care, raised $1.7 million fund by an international outreach program and some part of the corpus was contributed to Hospital Universitaire de la Paix. 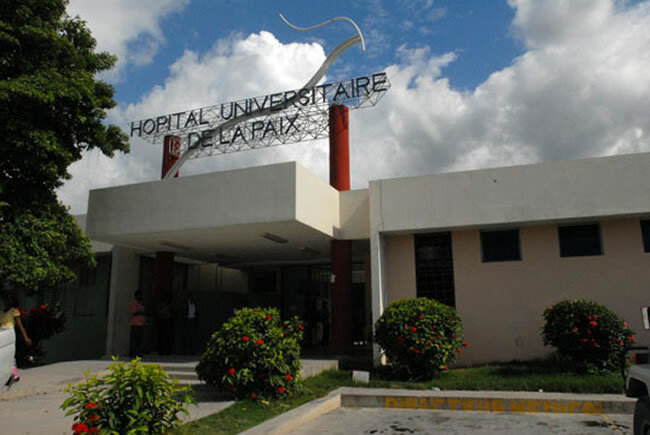 The hospital has also built a partnership with St. Mary's General Hospital in Kitchener for continuing its medical commitment and training Haitian physicians, nurses and allied health professionals. This unison will also facilitate the procurement of necessary technology, supplies and equipments under different aid programs.